This is part of a miscellaneous collection of images assembled over several decades by Denis Clark from various sources. Before Google Earth came on line, this was the best space image of Deep Springs I had found. 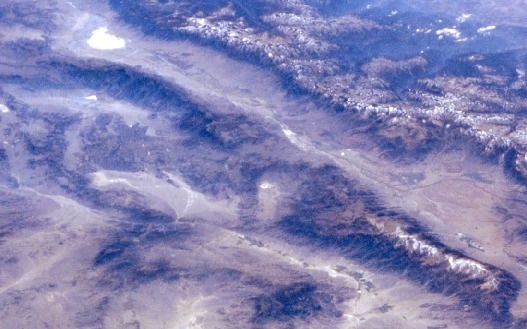 NASA, “Satellite view of Deep Springs area,” Deep Springs Archive, accessed April 21, 2019, http://archive.deepsprings.edu/items/show/566.